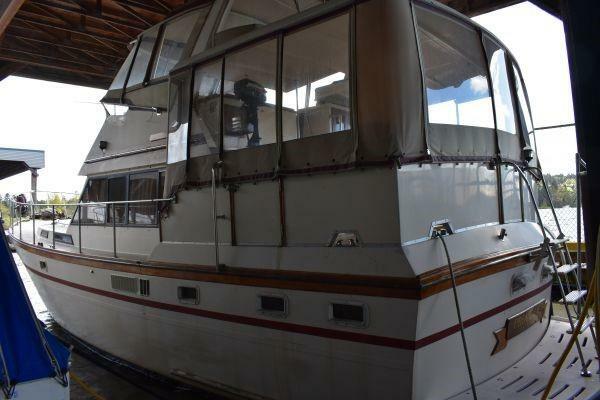 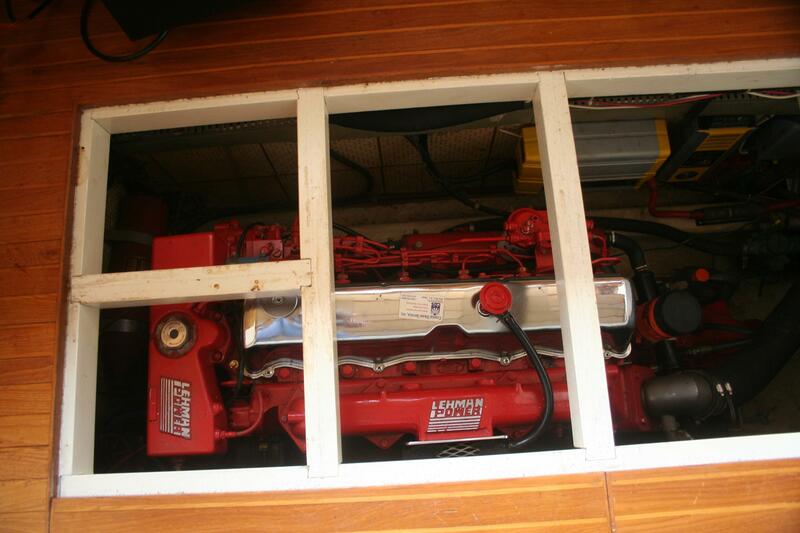 This is a must see boat, kept in a covered slip with possible transferrable live aboard status. 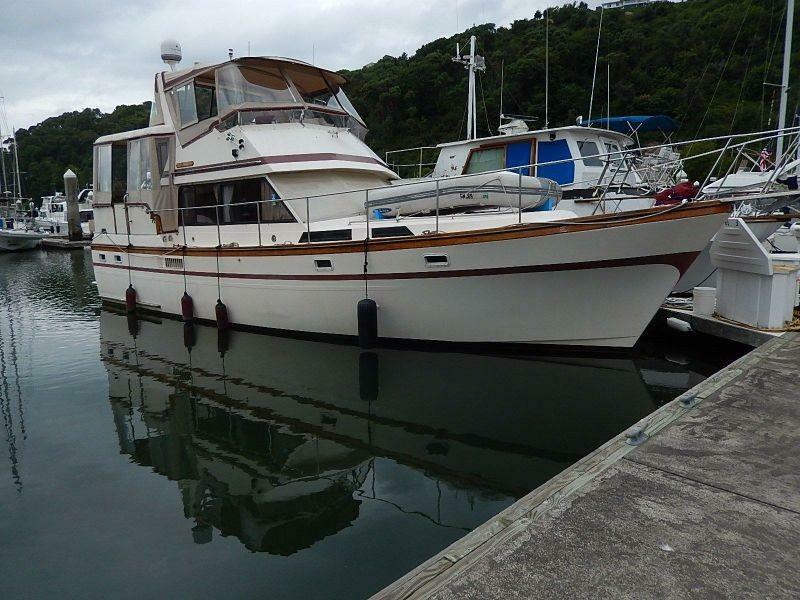 If your looking for a potential live aboard then this is the boat (possible transferrable live aboard slip) prop-protecting 18 inch keel. 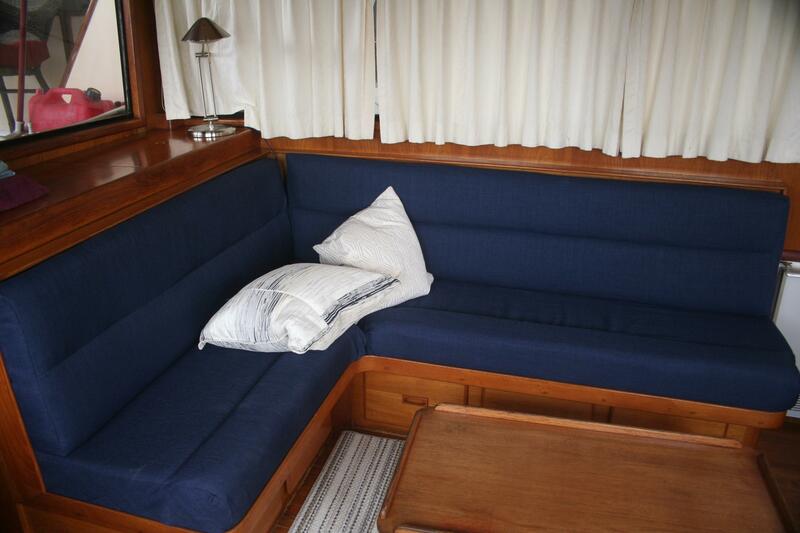 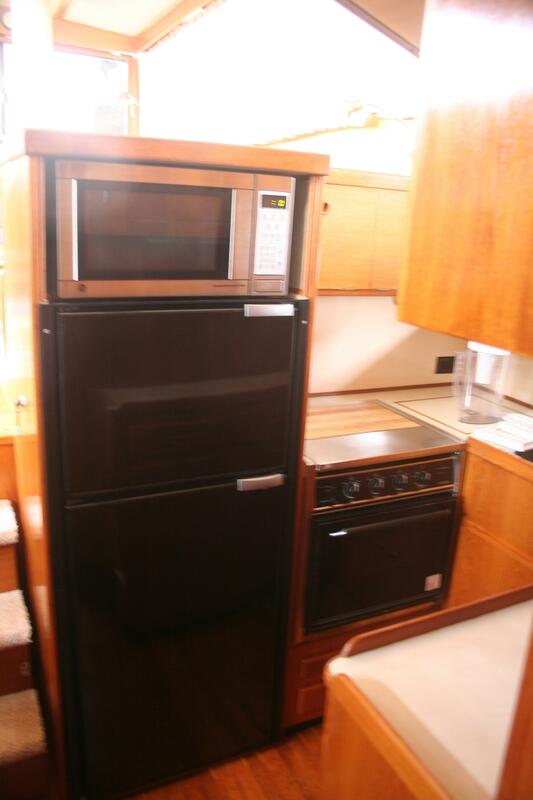 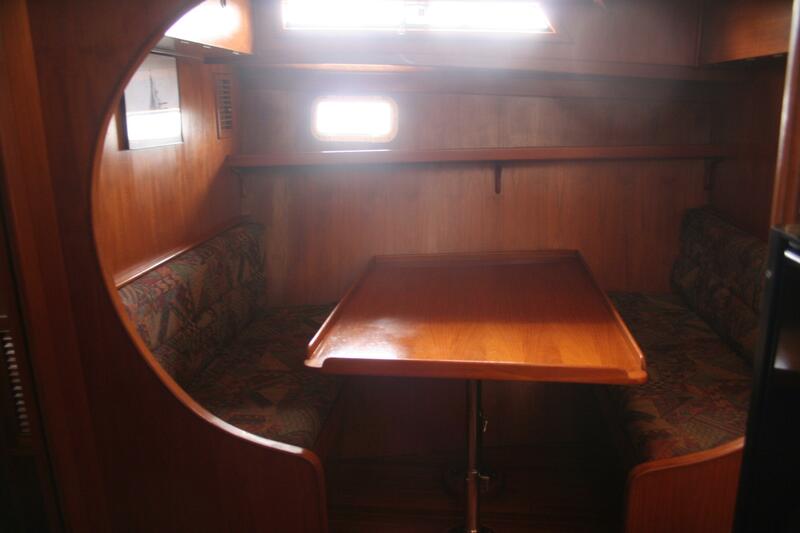 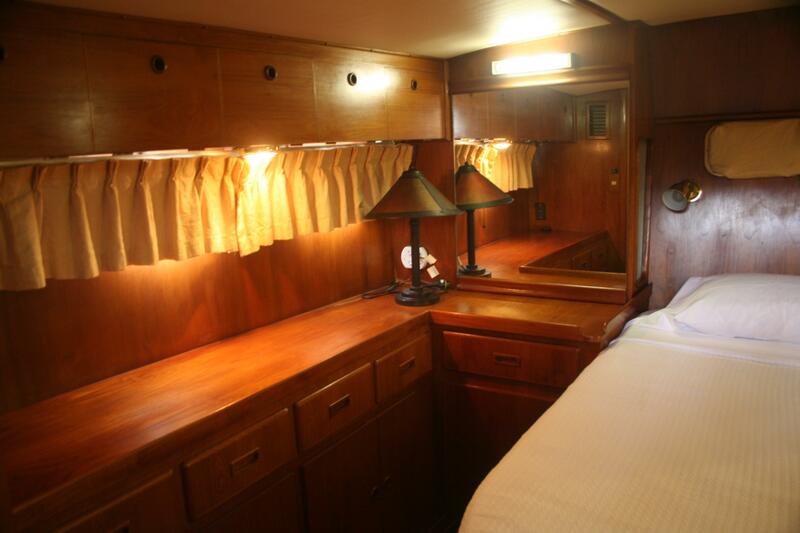 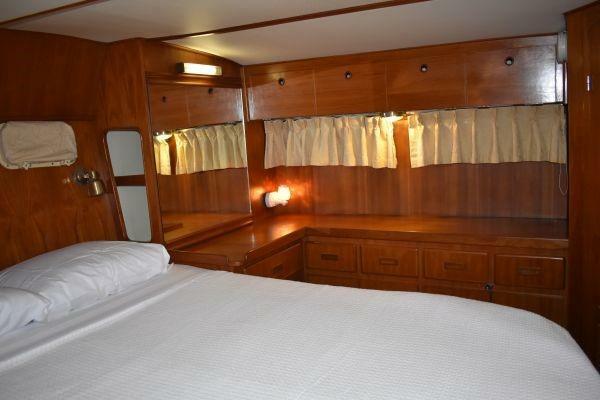 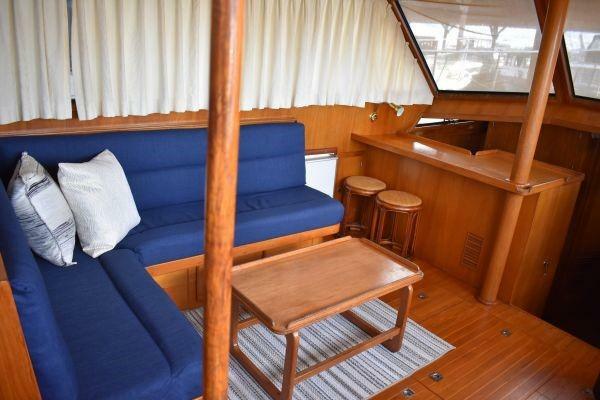 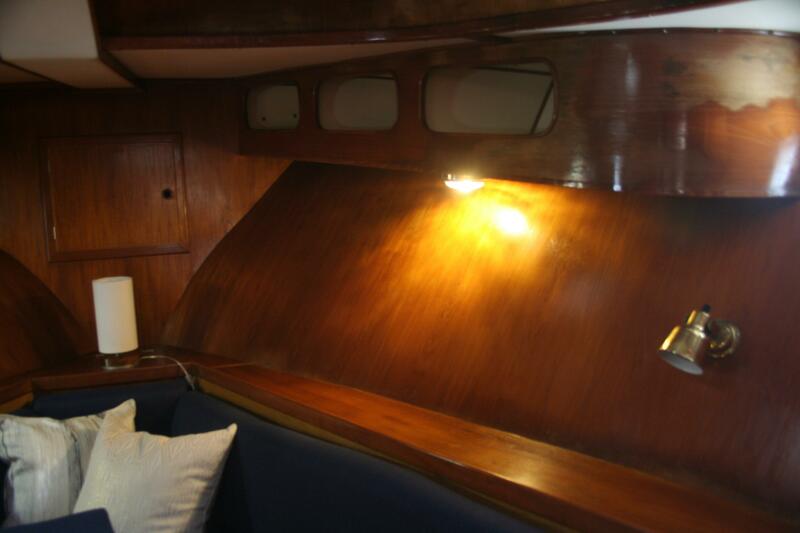 This two stateroom model makes a great live aboard or economical family cruiser with spacious interior and completely finished interior with plenty of teak joinery throughout. 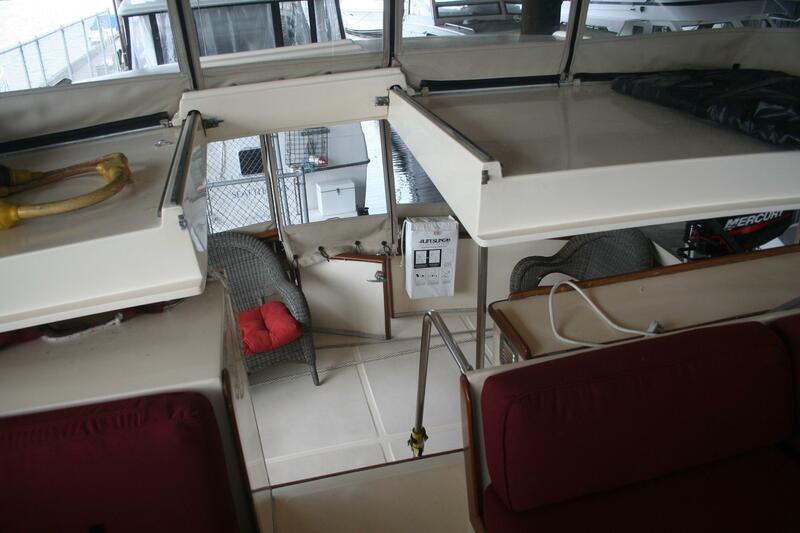 Fully enclosed aft deck with hardtop Roomy Fly bridge makes for great visibility and guest seating for five. 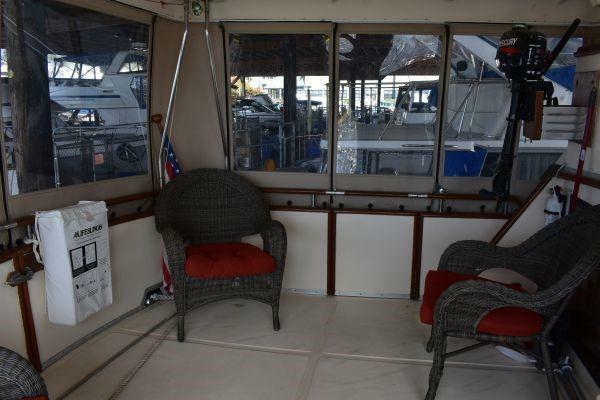 Fly bridge is fully enclosed with new canvas over 30k just in canvas. 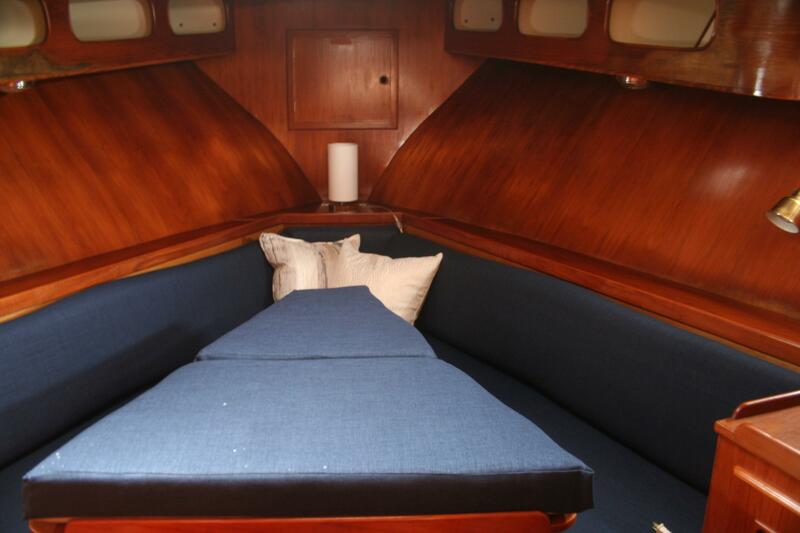 complete with Sat TV. 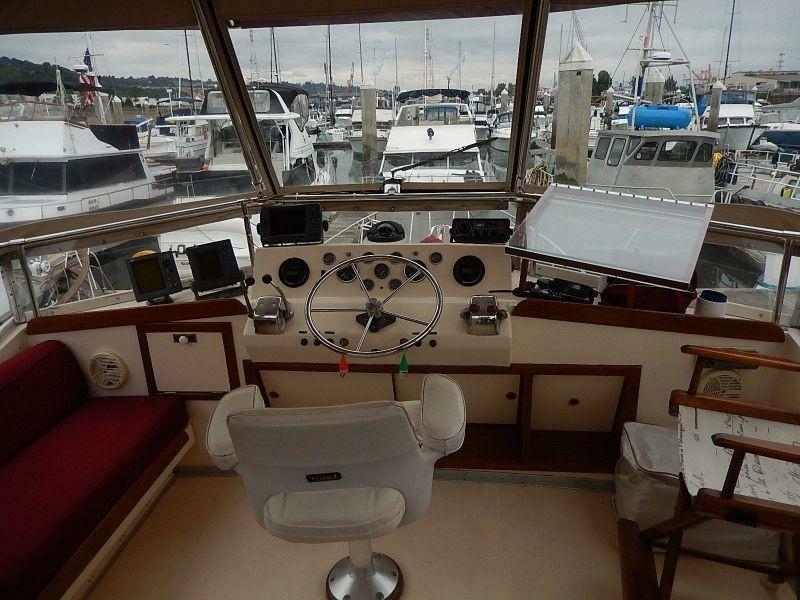 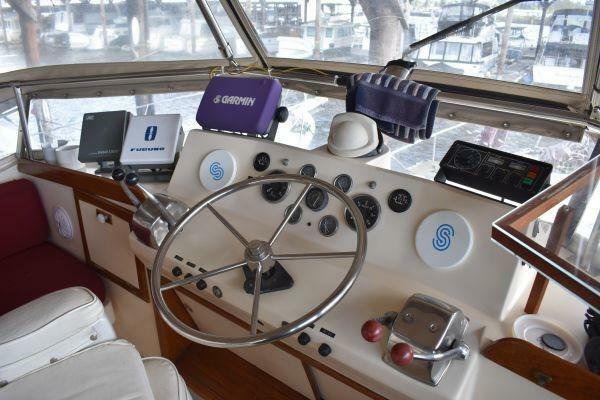 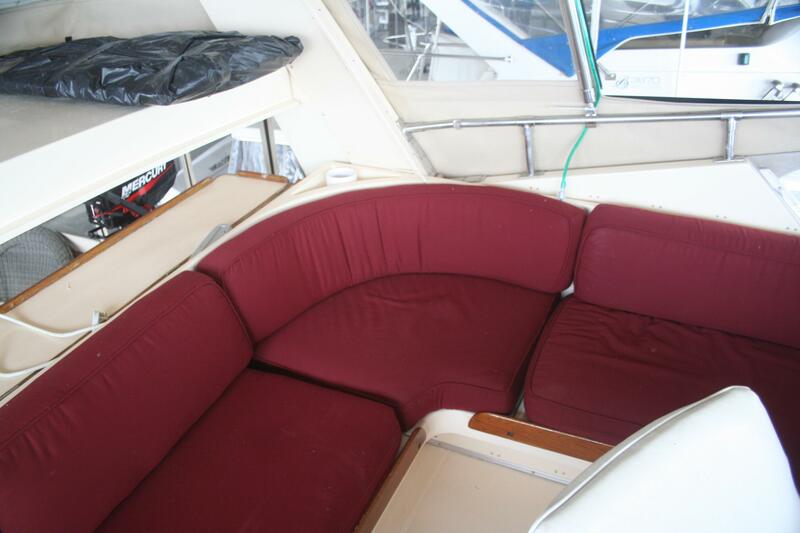 this is the perfect boat for cruising to the San Juan Islands or just around the lake. 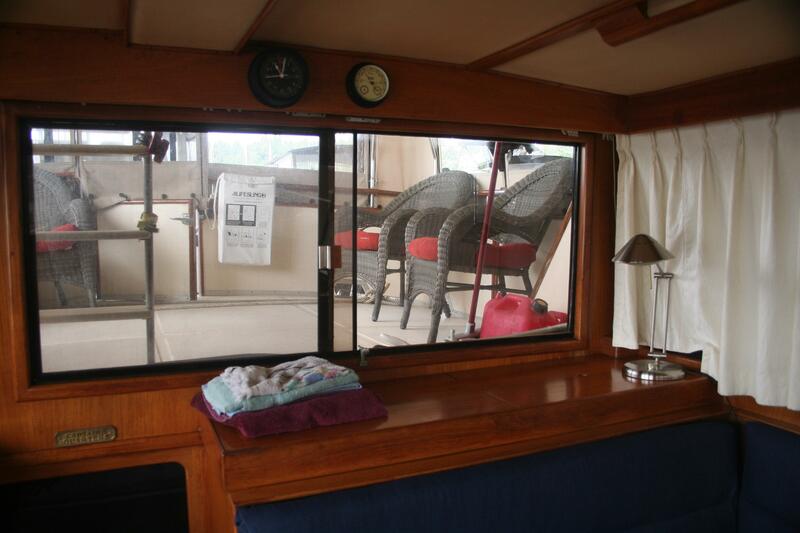 Two zone reverse cycle heat and air conditioning.